This takes being creative with yarn to a whole new level. 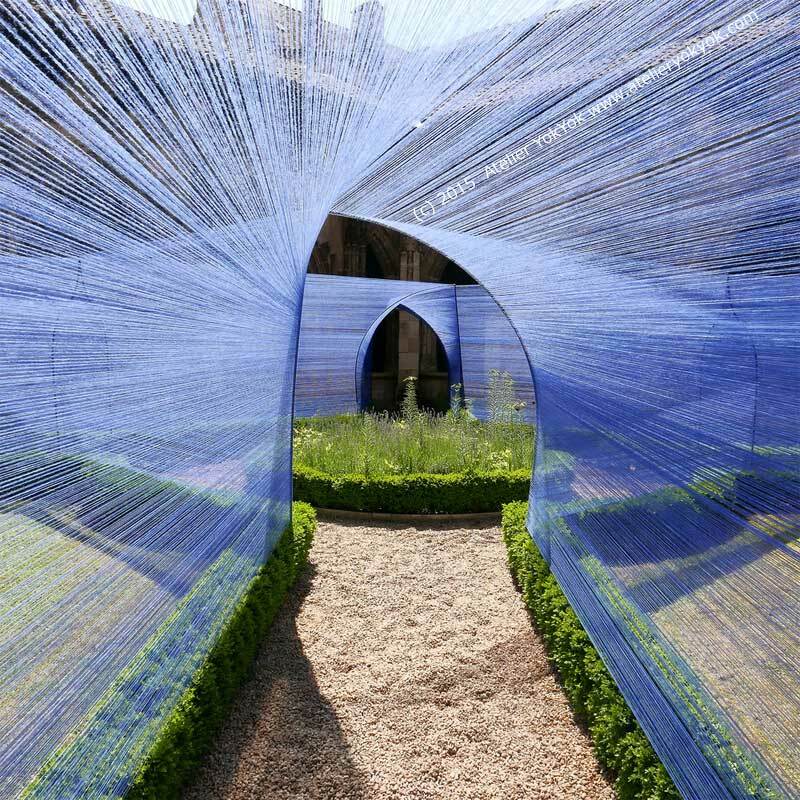 In June, Parisian artist Atelier YokYok created this beautiful net-like design in collaboration with metal sculptor Ulysse Lacoste at St. Stephen’s Cathedral. It is one of the three winning entries for the 2015 Cahors Juin Jardins, in Cahors, France. This public festival showcases over two dozen landscape-themed art installations and hosts a month-long variety of social events, performances, talks, and more. I love how Atelier complemented this sacred space with this striking cobalt blue color, giving the square a dreamy suspended-in-space quality while leading the audience to the center as if it were a walking metaphor for meditation. It must be cool to walk through it. Arcs of all origins are linked to one another by a colorful woven structure that performs with light and mystery; hence revealing a light dematerialized architecture, that the stroller admires its variations while wandering in the vaults. 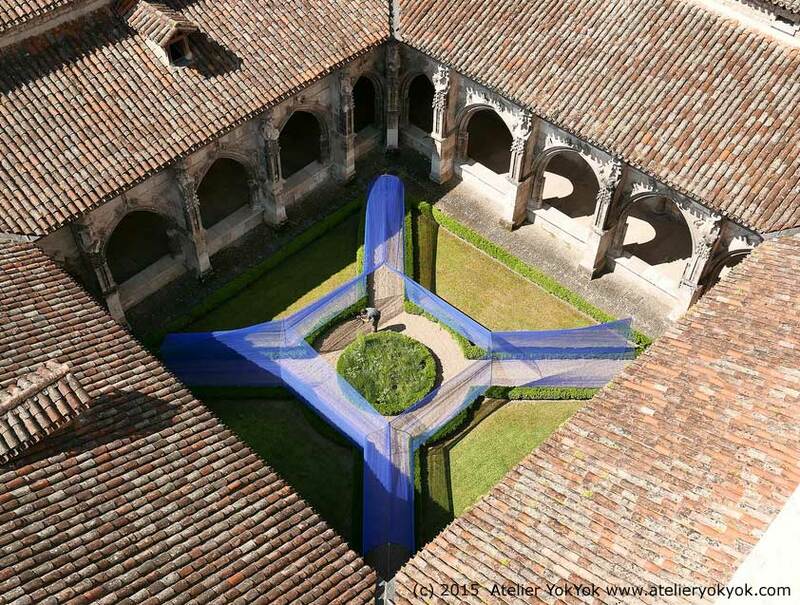 By these suspended Ariadne’s threads, the stroller is guided towards the center of the lot, a secret cloister. The glance rests then rises. In viewing this inside photo, it gives me the illusion that we are speeding through this tunnel when in reality we are casually walking the path. Hmmm…that makes me think that while we as individuals we may feel like we’re gradually making progress (if any) on the physical plane, yet on another higher dimension, we are actually making progress at light year speed. Something to ponder.